We’ve all been there: halfway through a long run and getting that powerful craving…for tomatoes. You’re not alone. A lot of people in Japan have apparently been struggling with the running/lack of tomato problem for quite some time now. 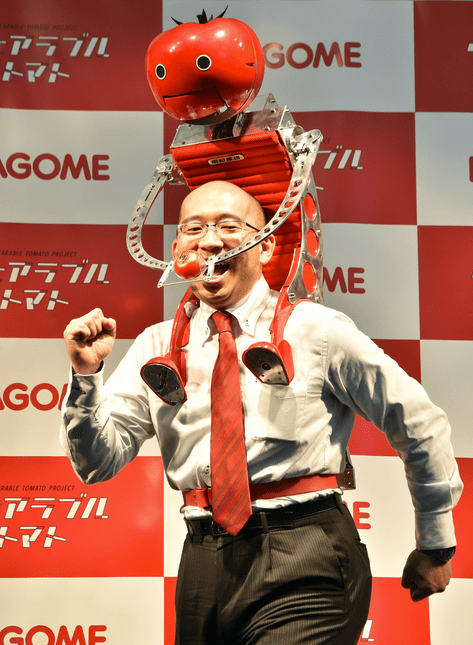 Luckily, the Japanese juice company Kagome has come up with an invention called “Tomatan”–and the answer to all of your running dreams. Our thoughts exactly. Check out the Tomatan in all its glory below.